Yitzhak Gormezano Goren was born in Alexandria, Egypt, in 1941 and immigrated to Israel as a child. He is a playwright and novelist. Goren studied English and French literature at the Hebrew University of Jerusalem and Tel Aviv University, and received a MFA in theater direction in the United States. In 1982, he co-founded the Bimat Kedem Theater, which promotes original Israeli productions with an emphasis on non-European Jewish culture. 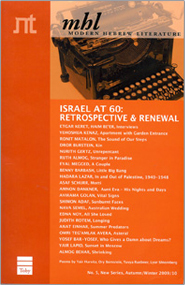 In 1998, the company established the Bimat Kedem Publishing House. 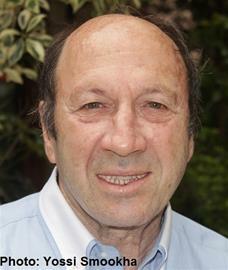 Gormezano Goren has worked as a broadcast editor and is active in the Israeli theater and film world. He has been awarded the National Council for Culture and the Arts Prize for his play, The Gospel According to Midorus (1966), the Ramat Gan Prize for his novel, An Alexandrian Summer (1979), the Govinska-Baratz Prize for his play, A Simple Tale, based on Agnon's novel (1979), the Prime Minister's Prize (2001) and the Arik Einstein Prize (2015).